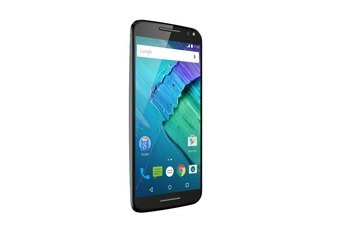 The Moto G is affordable at a sub-$200 price point. Performance is well beyond what you would expect from a device at this price. The battery life is exceptional. Despite gains in the MP department, the camera could use some work. The default storage option is a low 8GB, but the phone has a microSD slot. The overall size of the device is a tad too big for many users. 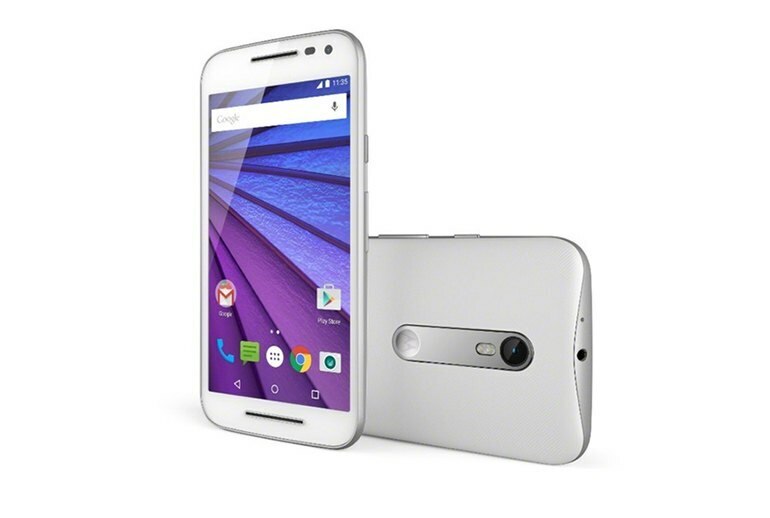 The Moto G is a sub-$200 smartphone capable of surprising and impressing the tech elite. A 5-inch HD screen, 13 MP camera, 2,470 mAh, and 4G lTE included in a device for $189? Get out. 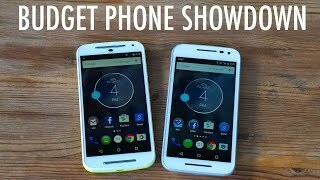 And for the first time you can customize it through Motorola's MotoMaker. Oh, and perhaps the most important addition to the mix: LTE support! 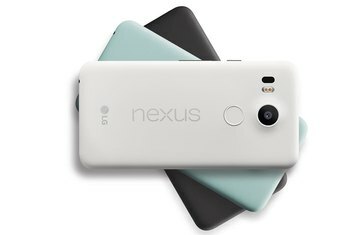 ... as much as Motorola boasts about giving the Moto G a "best in class" camera — which includes pointing out that it uses the same sensor as the much more expensive Nexus 6 — photos still aren’t where you'd want them to be. Call quality is amazing here, mostly because of thundering volume. 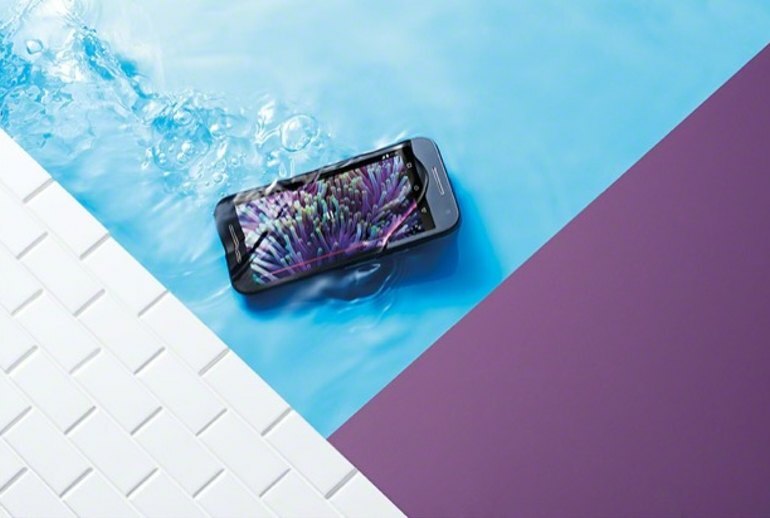 If you like loud phones, the Moto G easily outblasts most other phones on the market, both through the earpiece and the speakerphone. 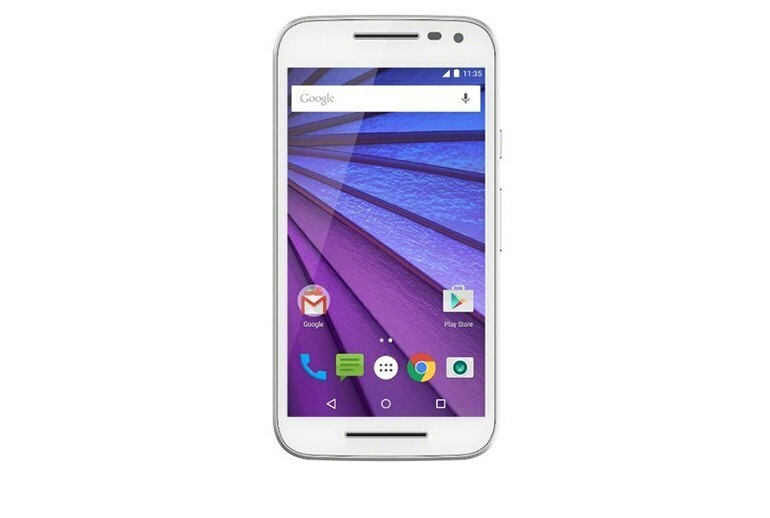 The Moto G offers no filler in its version of Android 5.1.1. Whatever extra added features are included is something you’d actually use, like Moto Assist, which automatically changes the sound profiles based on the time of day or your location. 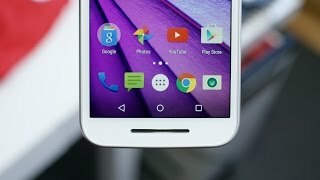 Everyone should consider a Moto G (2015). Maybe you don’t want to spend a lot of money on a smartphone. Maybe you need one for your son or daughter. Maybe you need an unlocked smartphone for abroad. Processor power is underwhelming, even for a budget phone, which makes operation sluggish at times. The Moto G is a very good phone. Not a great one, but a very good one. And the fact you can buy four of them for the price of one iPhone is just a bonus. In the market for a new smartphone? 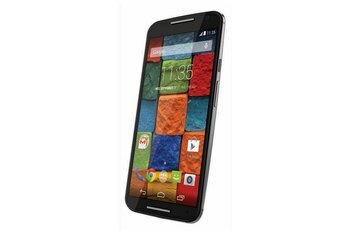 Motorola’s third generation Moto G is the best bang for your buck. Phones that have great battery life will always have a special place in my heart... And now, you can add the Moto G (3rd gen) to the list. 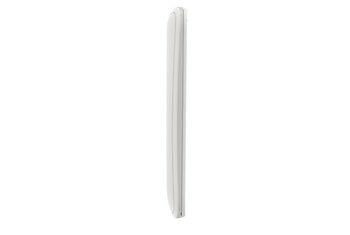 The display probably is the weakest part of the phone. The 5-inch panel has a 1280x720 resolution — also referred to as 720p — and that's the bare minimum we'd even take a look at these days. Oh and it’s waterproof! Which is just great. I left the Moto G in a glass of water by my desk for about 20 minutes. It still works great. While it would appear that this device has two front-facing speakers, in fact it is not a stereo speaker system. You have one speaker above the display dedicated to your phone, while the other, below the display, is a mono media speaker. 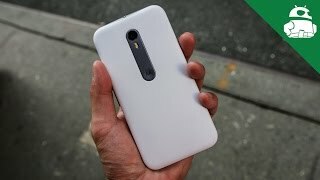 Moto G 2015 Hands On!